Live Jazz and good drinks in a underground pub! 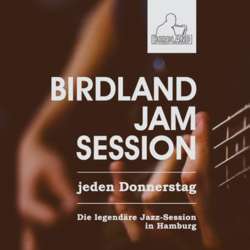 You must be a member of the Hamburg Excursion Group to attend this activity. Would you like to join this group? Keep in mind I don't have any reservations the location will be cramping full as usual. But music is awesome. I usually stay there till 1 or 1:30 the location will be less packed at around 10:30 pm. So for the nightowl who still like to go out on a working day to listen to some Live jazz in a underground jazzpub. Thats for you.